Installed as part of SoundGrid Studio, StudioRack, eMotion LV1 and MultiRack, or available for download independently via Waves Central. Stream your PC or Mac audio content to the SoundGrid network: Use the SoundGrid driver’s WDM and Core Audio Sound engines to monitor and record audio from web browsers (e.g. YouTube), media players, games and other applications via SoundGrid interfaces. SoundGrid configuration and patching requires SoundGrid Studio, MultiRack SoundGrid, or eMotion LV1 installation. Connecting to a SoundGrid network via Thunderbolt 3 is currently not supported. Windows 7 Users: The Waves SoundGrid ASIO driver requires Windows Security Update KB3033929 to be installed. Learn More. 2016 MacBook Pro (and later) users: For best performance, new Apple computers featuring Thunbderbolt 3 / USB-C connectivity should use the Sonnet Solo 10G Thunderbolt 3-to-Ethernet adapter for transferring audio from the SoundGrid Core Audio Driver running on the computer to the SoundGrid network. Buffer sizes above 2048 are not supported. Some buffer sizes that are not in common intervals are not supported. When using the built-in Mac driver with SoundGrid Connect for StudioRack SoundGrid processing, the Mac driver must be selected as the playback engine in your DAW. Patching to the built-in Mac driver from the SoundGrid network is currently not supported. 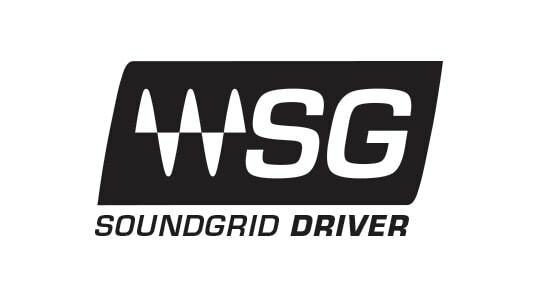 PC users – WDM drivers are supported only if your system includes at least one SoundGrid audio interface; they are not supported if you are only using a non-SoundGrid interface via SoundGrid Connect. MultiRack and eMotion LV1 are currently not supported. We are working on making them compatible with SoundGrid Connect in the near future. SoundGrid ASIO/Core Audio driver uses a network buffer when connecting to the SoundGrid network in addition to the ASIO/Core Audio buffer. The network buffer can be set to 108–2048 samples. A round trip through a non-SoundGrid ASIO/Core driver used with SoundGrid Connect and SoundGrid processing then back will exhibit additional latency. The total latency for the round trip will commonly be more than 6 ms. See the manual for more information. SoundGrid ASIO/Core Audio driver supports up to 128 input and 128 output channels. SoundGrid Connect can bridge up to 128 input and 128 output channels (depending on the number of StudioRack voices and SoundGrid ASIO/Core Audio channels being used). All connections and configurations require the SoundGrid Studio Application. Use multiple DAWs on the same computer simultaneously: Record the same source to two DAWs on the same computer, or route audio from multiple DAWs to the SoundGrid network. Collaborate on projects and move between studios with different systems. Any musician working with a host computer and ASIO/Core Audio driver can now connect to your SoundGrid network and vice versa. The SoundGrid driver enables you to share audio for recording and playback between your live mixing console and your DAWs via a SoundGrid I/O. The SoundGrid driver enables you to share audio for recording and playback between your SoundGrid I/O interface and your DAWs. The Waves SoundGrid ASIO/Core Audio driver enables you to connect your DAW to the SoundGrid Studio System. This allows your workstation to communicate with devices on the SoundGrid network. The I/Os move sound in and out of the network. The SoundGrid Studio Application manages all these devices. By adding a SoundGrid DSP server, you can offload plugin processing from your computer to the server. This enables you to use the eMotion ST mixer and the StudioRack plugin host, run more plugins, and record and monitor with very low latency. DAW computer with an ASIO or Core Audio playback engine and the StudioRack SoundGrid plugin host. Make sure that StudioRack is supported in your DAW. Connect non-SoundGrid I/Os to the SoundGrid network for audio streaming, and offload plugin processing to a SoundGrid server via the StudioRack plugin host, without any change to your DAW setup. Non-SoundGrid ASIO/Core Audio I/O. Make sure that your Audio IO is supported with SG Connect. Connect your non-SoundGrid I/O and ASIO/Core Audio playback engine to a larger SoundGrid network; patch and mix from multiple computers and I/Os in the SoundGrid network.